The smallest items can often inspire the biggest ideas. 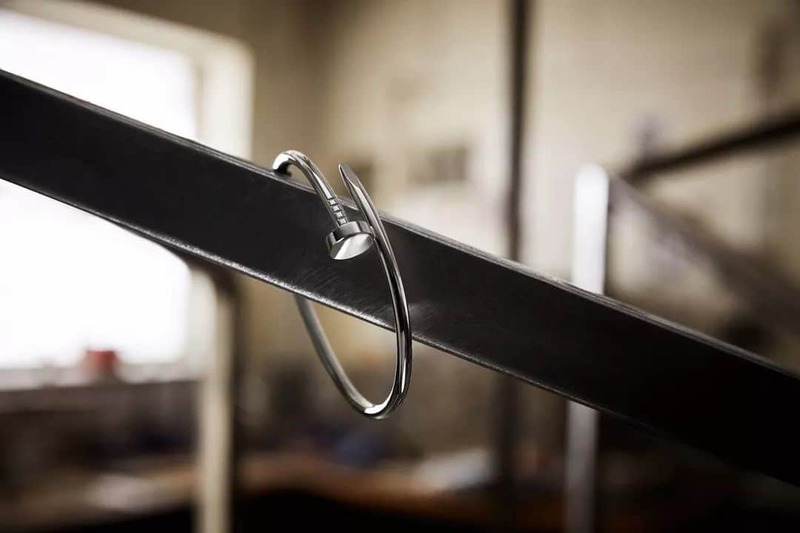 Take for instance the humble workshop nail: It’s ubiquitous and its sole function is to hold disparate items together while staying invisible. 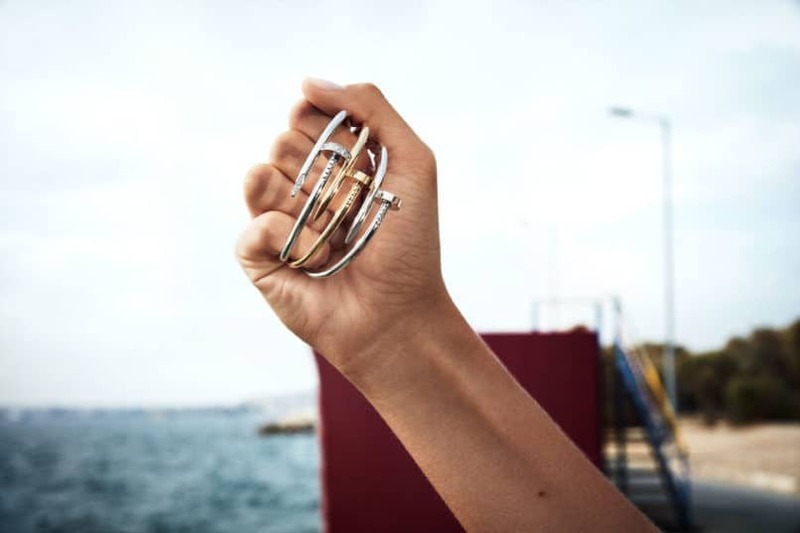 Since the 1970s, Cartier’s designer Aldo Cipullo — the person behind the equally recognisable Love bracelet has taken that idea and turned it into the Juste un Clou — a collection of accessories which in French, means ‘Just a nail’. Cast in precious gold, the original design was a sleek bracelet which locks in on the ‘nail head’ end and loops around the wrist securely. It became an instant hit and led towards a trend of industrial-inspired jewels. Decades after, Juste un Clou continues to be an object of desire. Since 2012, the design was revitalised in various interpretations as rings, necklaces and hoop earrings. But how do you make a classic better? From small, simple changes. Gone are the hinges in the Small Model (SM, for short) in its latest iteration. 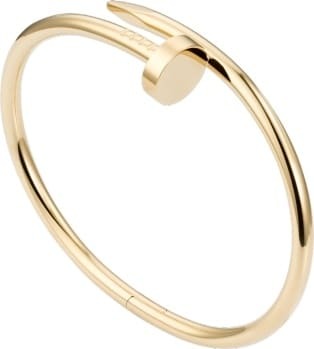 The Juste un Clou SM is a slimmer take on the classic piece — nearly half the width — conceptualised as one solid gold bangle. Flexibility is key here, the SM is a lot less hefty on the wrist and its thinner form makes for a more modest yet sophisticated look. The quick slip-on accessory is great for everyday wear and formal occasions alike and fits snugly for both men and women. 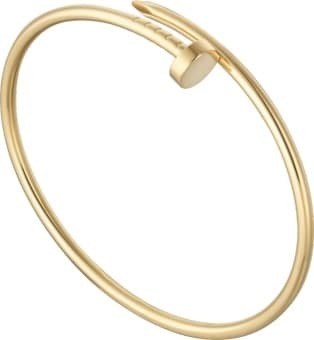 The new iteration, available in 18K yellow and pink gold, can be worn together with the original bracelet or on its own. Together with the Small Model, Cartier rolled out other incarnations of the nail design. 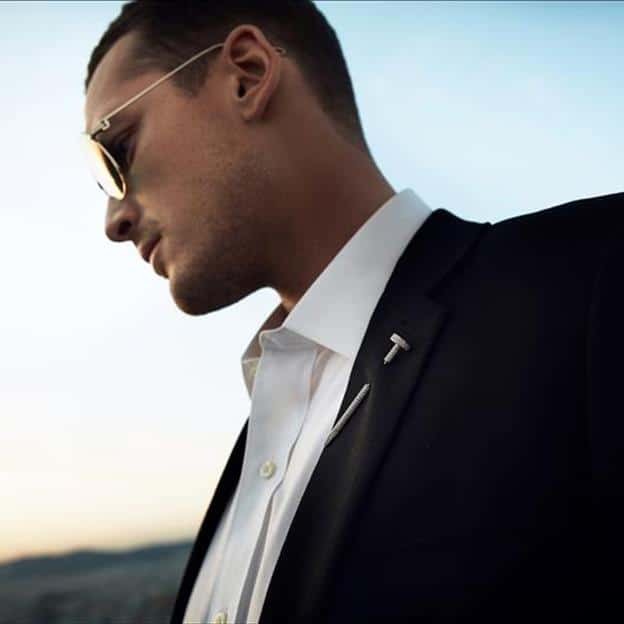 Think a miniature JUC bracelet for shirts: a pair of pink gold cufflinks that make a lively, yet smart, addition to the business suit. And the most stunning piece introduced here is the tie-pin. This piece is available in both yellow and pink gold too. But if you’re feeling game for ‘subtle’ show-stunners, consider the white gold paved version, a truly luxurious accessory speckled in with white diamonds.